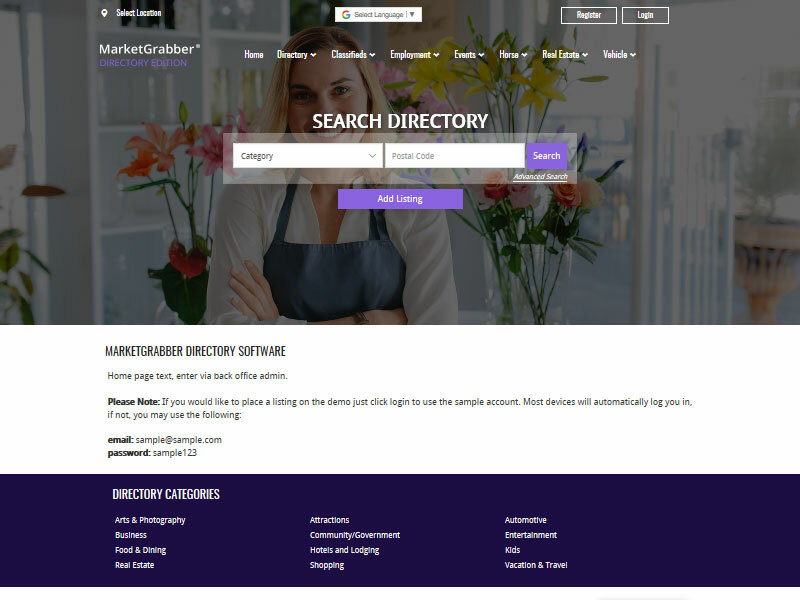 For each MarketGrabber edition there is an online demo and a demo of the admin system available. All editions can stand alone as a specific niche website or be combined for a broader market. Please choose the demo you would like to view from the list below. All editions in one demo.